Well it finally rolled around. The big ‘5o’. Not much seems to have changed other than a reminder every so often of a few more aches and pains. 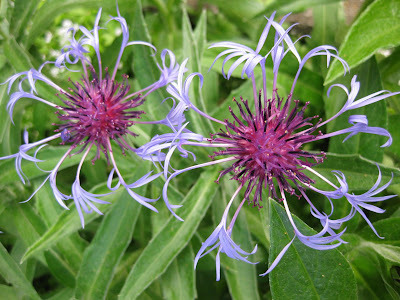 It was wonderful to have 3 of my children home and we all spent much of the long weekend in the yard catching up and planting a new flowerbed around our deck. With all the travelling and preparation for market this was the first time I could get my hands in the dirt and it was wonderful. 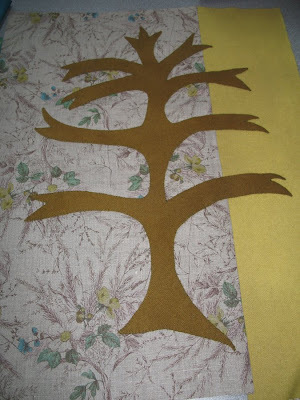 I have not done much stitching but hope to pull out my ‘Journey Cloth’ soon and do a little hand quilting. It has been a bitter sweet week all in all. On Monday I received the sad news that a wonderful friend of mine Gretchen lost her battle with breast cancer. My prayers go out to her husband Harry and young boys. Even though my heart is so sad I keep having these wonderful flash backs to all the great qualities she had and the many experiences we shared over the years. We learnt to make baskets together. 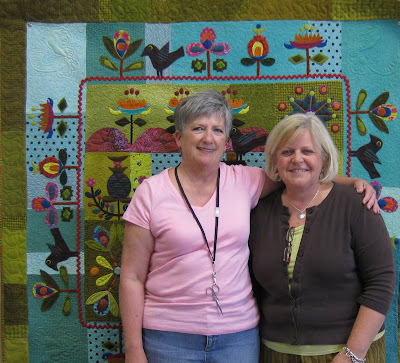 Were both members of our first Quilt Guild in Hendersonville, TN. She taught me much about gardening and we spent many hours together creating. I have many handmade gifts around my house that she lovingly made me but the most special gift is that each time I moved from state to state she would send me a care package of perennials and bulbs from her garden. The one plant which reminds me so much of her is her St Johns Wort which has done so well in my garden. 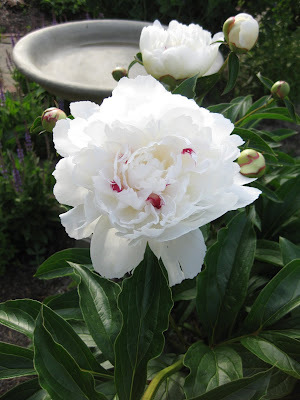 It blooms into a wonderful spray of yellow flowers in the summer. 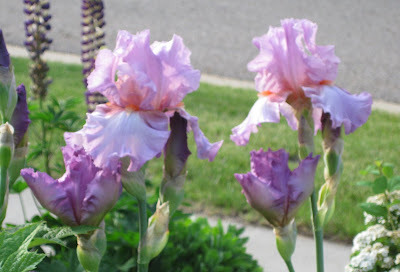 Spring in Ohio is beautiful and my flower gardens are in full bloom. Many thanks to my dear friend for teaching me so much. Aimee and I are leaving for Tennessee this afternoon for Gretchen’s memorial service. We will be home in a couple of days. 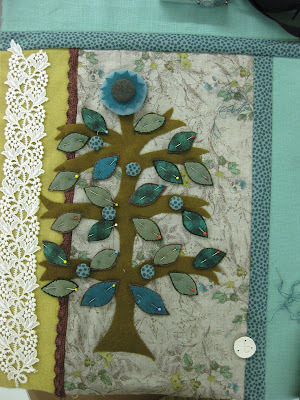 I just returned from teaching at Material Girls in SLC. There were 20 creative students in the class. 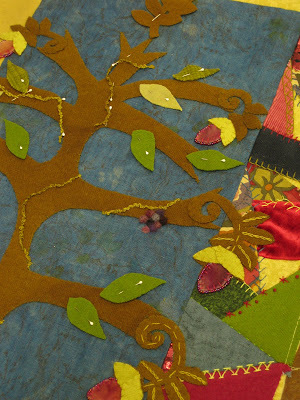 We worked on block 4 of my new Magnolia quilt. 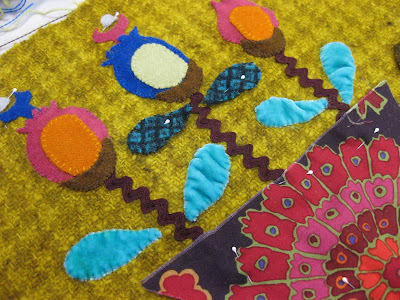 Each student started with the same kit but I encouraged then all to incorporate different embellishments to create a unique piece. 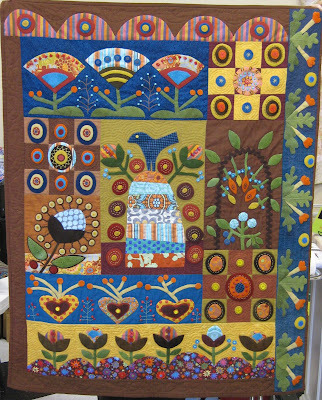 Many decided that they will be making the whole quilt so I hope to feature some of these on my blog in the future. My friend Kerry organized the class. This is the second class we have organized. 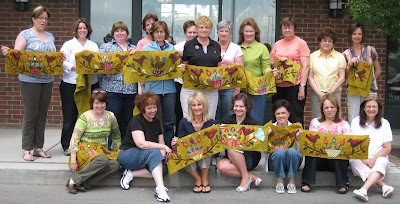 Due to its popularity we have decided to organize another class in early June 2010. 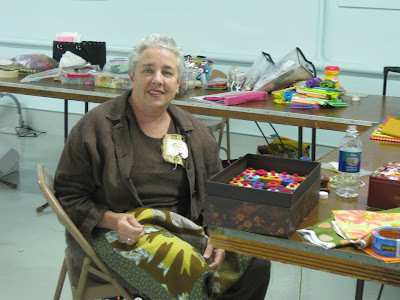 I was so excited to meet Marianne Michaels who has been teaching a BOM class at Corn Wagon Quilt Company in Springfield, Utah. 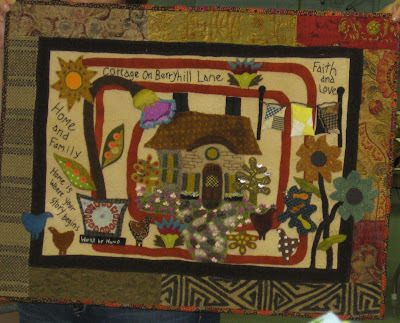 She has been teaching the class using my CD ‘Folk-art Dreams’ from the Electric Quilt Company. 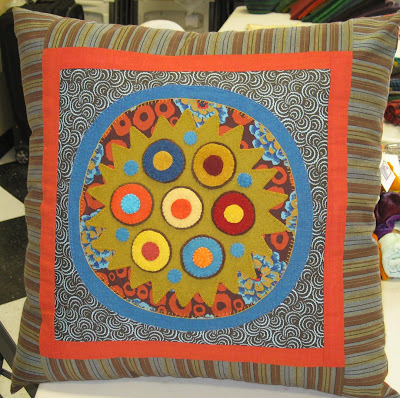 I just love this pillow which incorporated wool and cotton and also the variety of blocks in the quilt which were pulled for my Ginger Grove and Mercer Lane Quilts. It is always fun to have friends in a class. I know for myself it is a special time to share something I am passionate about with friends and family. 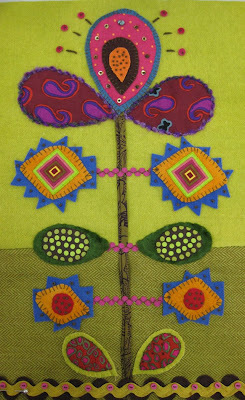 Here are a few of the blocks using different ribbons, beads and stitching. I am sure you will agree they have a great starting point. 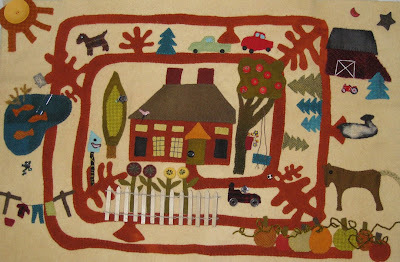 My sister Wendy and son Jason dyed this wonderful background along with the other fun pieces of wool. I wish you all a great Memorial Day weekend. 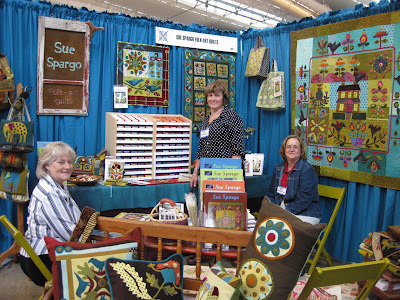 This past weekend was Spring Quilt Market in Pittsburgh. Cathy, Melissa and Michelle joined me for the weekend. It was good to see old friends and meet many new store owners. 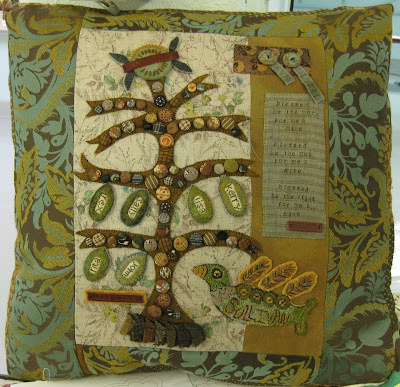 I released my two new books Magnolia and Urban Sacs and my 5 new pillow patterns. We had a great booth position with wonderful light. I also had my new Genziana wool threads which I am a distributor for. It comes in 100 fabulous colors and is great for both hand and machine work. Our hotel was a 10 minute walk from the Convention Center. We found some interesting art on the way. Each night we found a new restaurant to eat at. On Friday we had a two hour wait at Lidias. So we decided to sit and enjoy a bottle of wine. 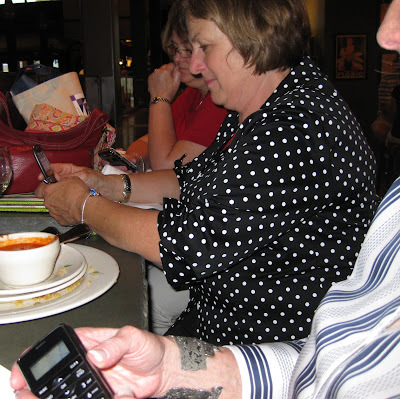 Can you believe it I looked over and Cathy, Michelle and Melissa were all texting!! I guess it is the only way our children answer their cellphones. Saturday was a big day in the Spargo household. I went home for the day and left everyone to man my booth. 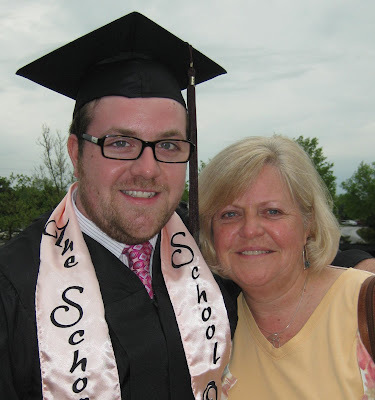 My oldest son Andrew graduated from Kent University in Fashion Design. He plans to be home for the summer and then will be heading to the Big Apple. I have my laptop with me and do not have pictures of his final designs. I will share them with you in another post . 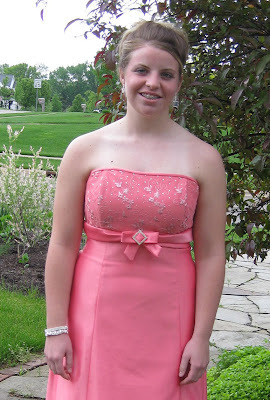 It was also Aimee’s Prom. She is graduation form high school. 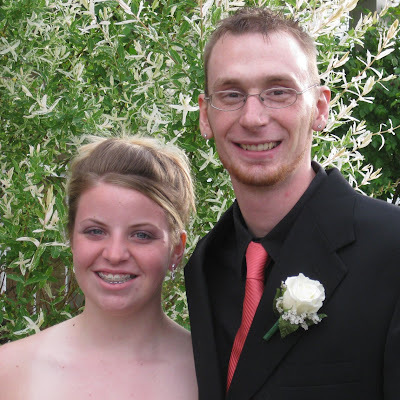 It is hard to believe that all four of my children and now out of high School. I just can’t believe my baby is so grown up! This is going to be a year of great change for me. We are now unpacked from market and filling orders. 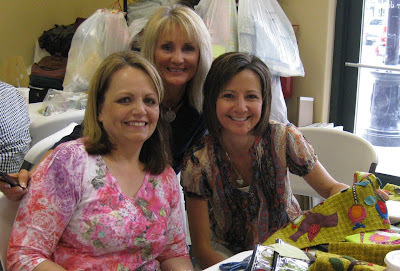 Michelle and Cathy will be working on shipping the BOM and I am heading to Material Girls in SLC to teach at the end of this week. Life is so busy but I feel very blessed to be surrounded with fabric every day. Well here is the whole group. There was a wonderful creative spirit among all of us. I feel quiet blessed to be a part of this experience. Many have returned year after year and others have brought friends and family members to share in the experience. It is wonderful to see many sisters and mothers and daughters making this an annual event. 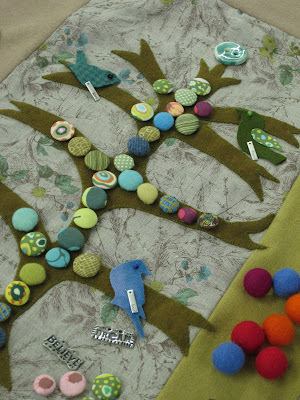 Melissa taught about making buttons. It was a great hit! Many shapes, sizes and colors were made. I can’t wait to see how these are all used. I really love to see how each piece evolves. There are many techniques to draw from to make each piece unique. It was great fun being with Sally, Alice and Melissa again. I always come away thinking we could never top what we have just done but hopefully as we plan for May 2010 we will be as creative if not more creative than the year before. 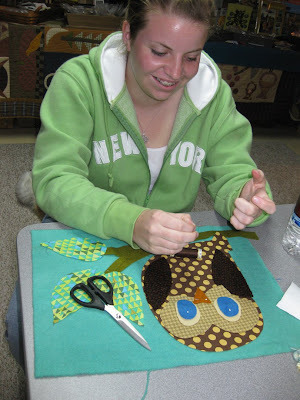 Our ‘Workt by Hand’ retreat is a collaboration. 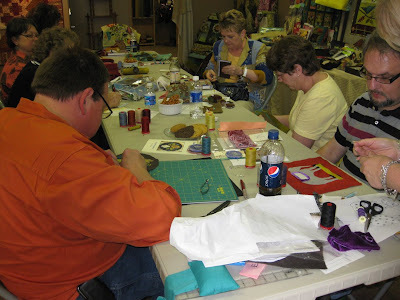 For 6 years Sally, Alice, Melissa and myself have taught this creative workshop once a year. It is a fabulous experience for the 4 of us as well as the 48 participants we usually have attending. The last few years we have held it in a small town in Ohio called Tipp City. 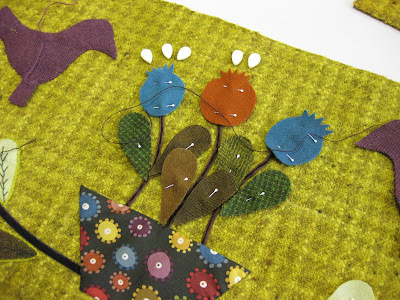 It starts on a Wednesday at lunch time and we are able to immerse ourselves in a project for 2-1/2 days. The really fun part is that we all start with the same kit and then get to create our own unique piece. This is what we started with this year. 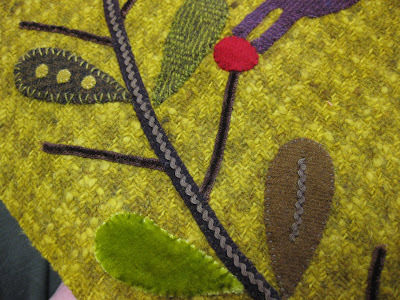 A wonderful piece of Japanese linen and hand dyed wool. The tree and ‘WORDS’ was our theme. 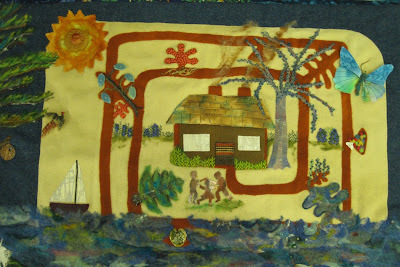 We were then to add our own borders and do our own thing…….. Here are the wonderful pieces that were created by us. The four of us meet the night before the retreat and this is when we unveil our piece. 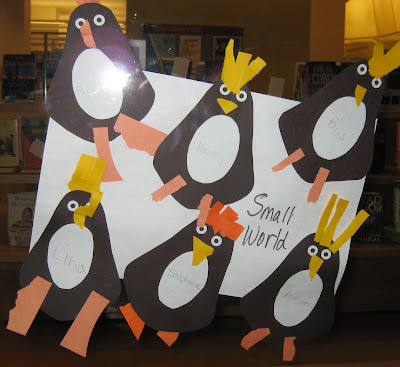 It is always exciting to see how each of us interpreted the theme and also how individual they are and that we are able to hold onto our own style. 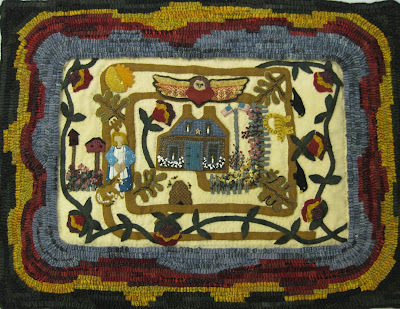 This is Sally’s piece. What a great pillow! She added covered buttons and words, some stamped in leather. 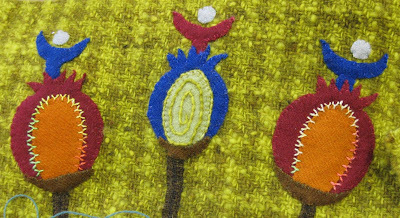 Melissa created a very unique piece adding hand made buttons and words printed on all types of fabric using her computer. 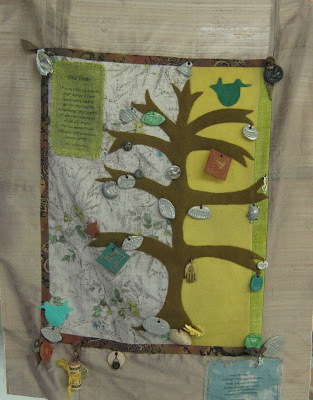 Alice created a ‘Faith Tree’ adding rug hooking and buttons made out of clay. My piece was about my 50 years of life. 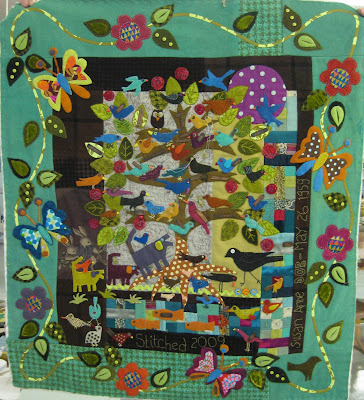 I added a few borders some pieced with textural fabric then 50 different birds and then 4 butterflies which are my wonderful children. My words were added using metal stamped pieces which my son Jason made. 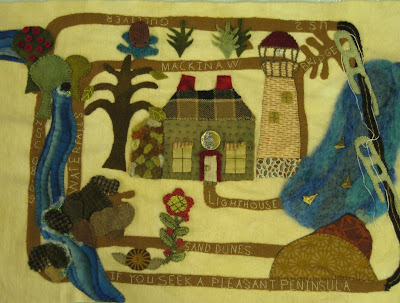 I worked on this piece throughout my travels across Australia so it has many fond memories stitch in the layers. We also do a small project on Thursday night. This year we made a small sewing bag. 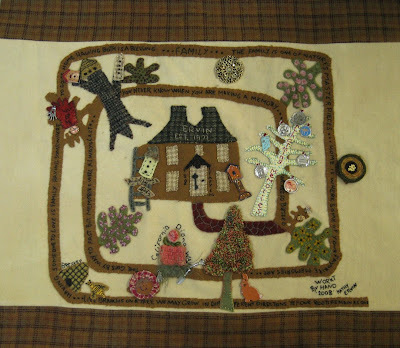 Each one of us designed a small patch to be stitched on the outside. More to follow!!! I will be updating with student pictures soon. 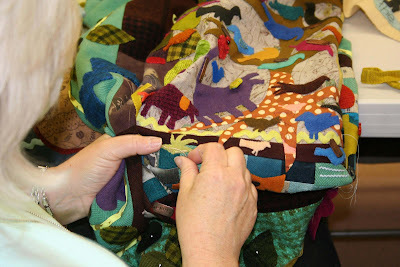 Today we are packing for Quilt Market in Pittsburgh. Sign up on the blog as a follower and you will be notified when I post again. 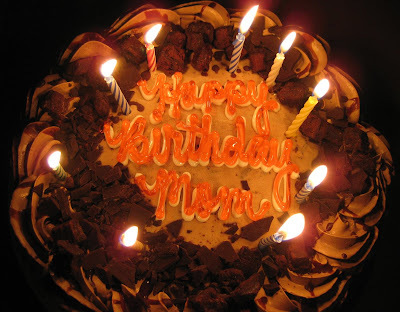 Happy Mothers Day to all you wonderful moms! I am driving home this morning to spend the day with my kids. I will return tomorrow to blog about the whole weekend. I arrived home late on Wednesday night spent Thursday getting organized then Aimee and I worked on our ‘Aimee and Me’ project for May. It was really great spending time with her and especially creating. It had been 5 weeks since I had seen my girls! 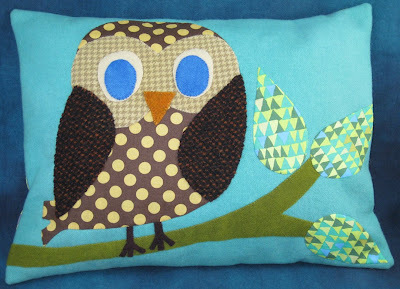 I just love the ‘Miss Hoot’ pillow we came up with. 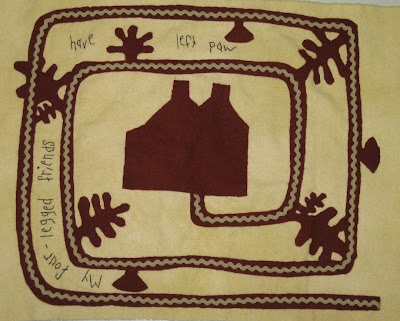 It was really fun to stitch and will look great on her bed. It will be posted as a kit on my website in a couple of days. 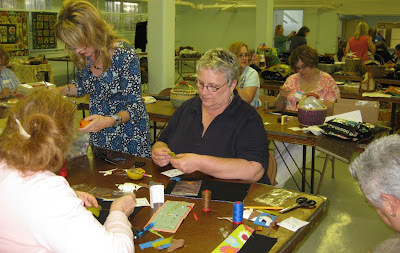 On Saturday I headed down to West Virginia to the Woolen Willow and taught a pincushion class. 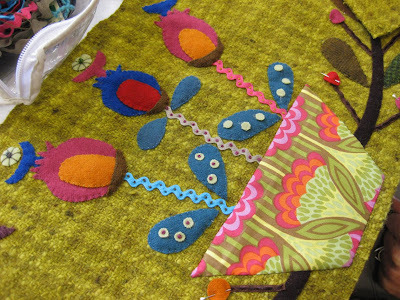 Everyone did a different one and had fun playing with wool and embellishments. 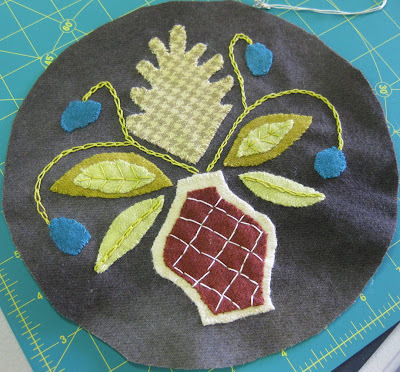 The Early Pincushion pattern is still a favorite with many people. 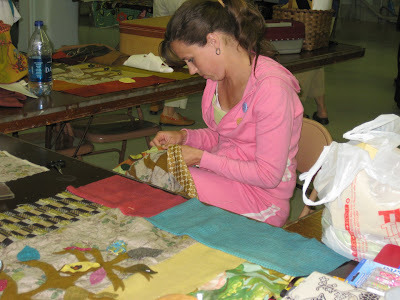 Our annual retreat ‘Workt by Hand’ is this weekend in Tipp City Ohio. I am very anxious to see the projects Melissa, Sally and Alice have done. You will have to visit back to see what I post later this week. We are expecting 48 participants and can’t wait to see old friends. It is really nice to have spring in the air here in Ohio. 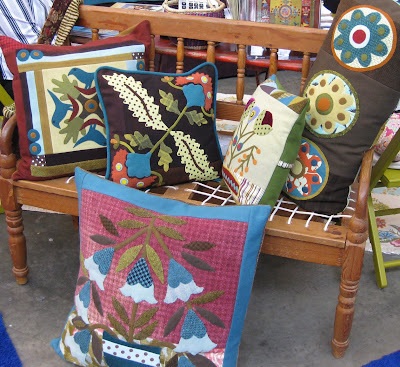 I am very anxious to get out in my yard but have to wait until Spring Market is over.